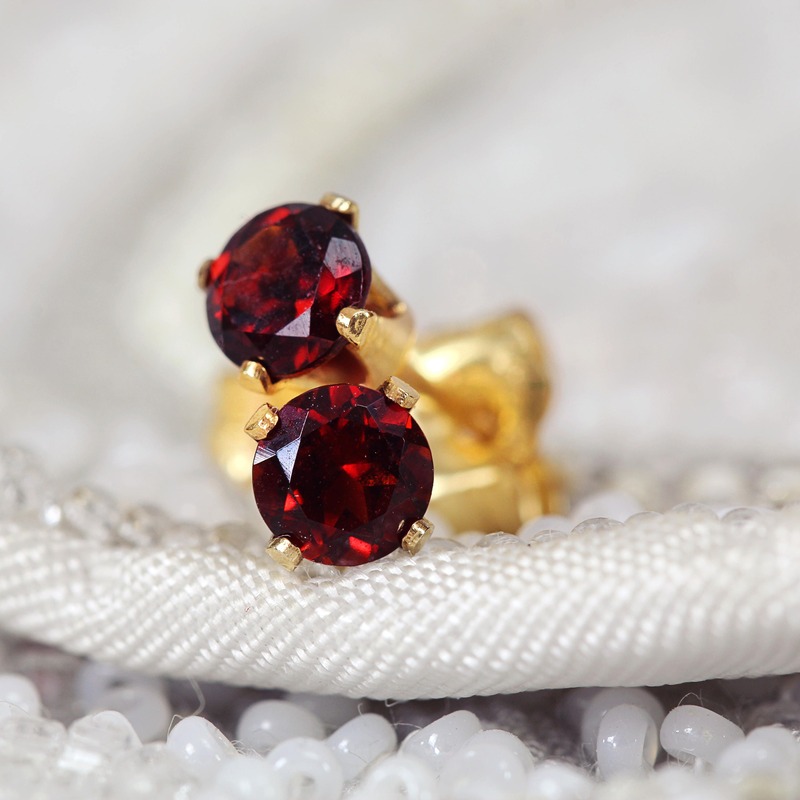 Rich and lustrous, these red garnet stud earrings will bring a beautiful glow to any outfit. Perfect for day or night, they look great with jeans and a jumper, or a little black dress. 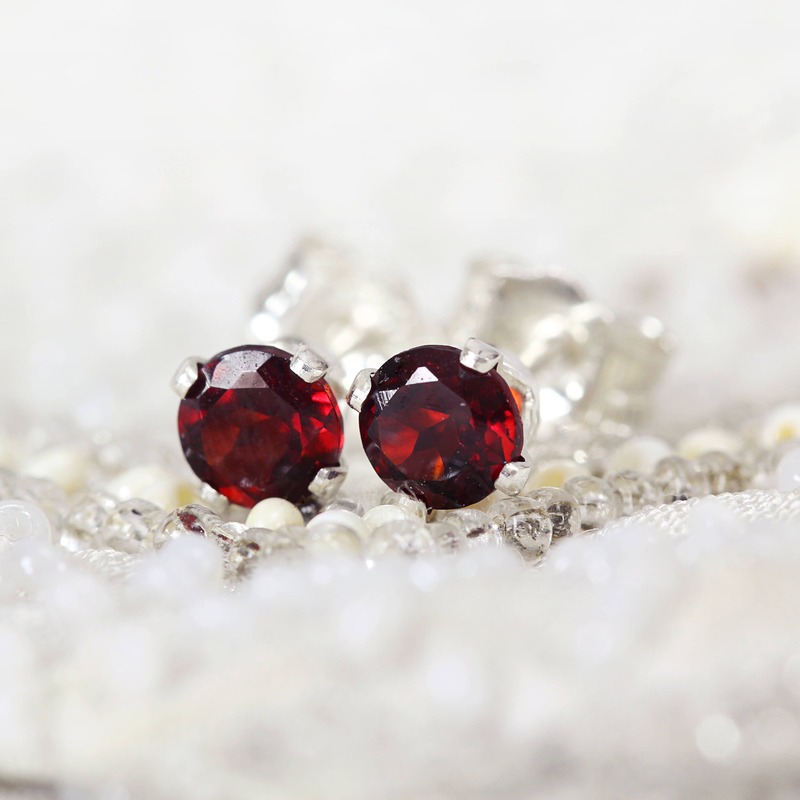 Featuring tiny (4mm) top quality, near flawless, genuine garnet stones in a faceted round cut with a deep red colouring. 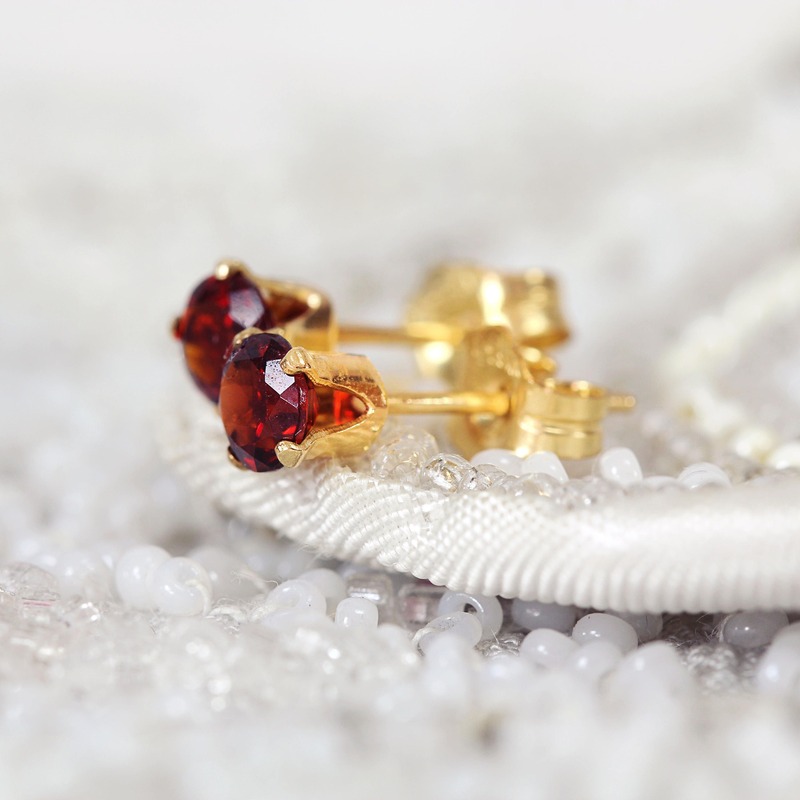 Set into 14k gold filled ear posts, they come with matching butterfly backs. Also available in sterling silver. 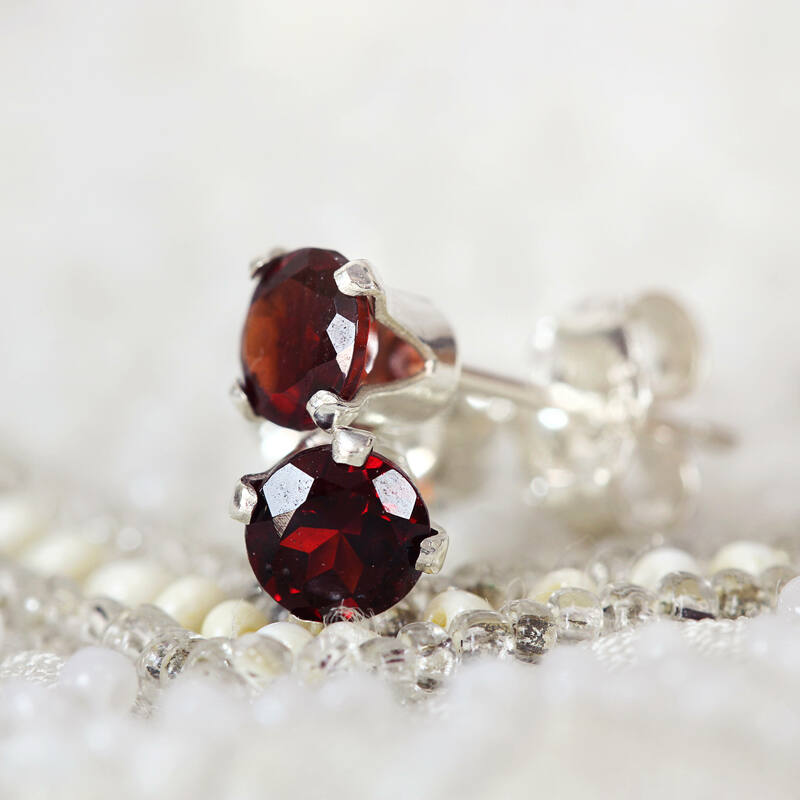 Garnet is the birthstone for January and the second Wedding Anniversary. The name is derived form the Latin word 'granatus', meaning seed or grain, due to the stone's resemblance to the small round seeds of a pomegranate! 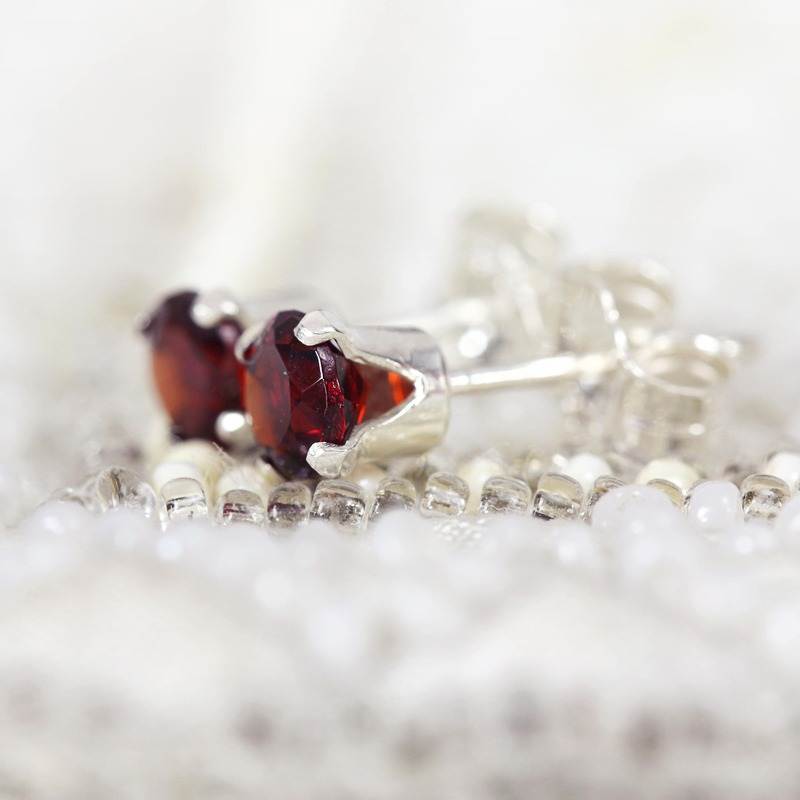 Garnet is a great stone for feeling balanced, safe and protected, and for harnessing one's inner strength. It is said to help with emotional stability, support and courage, and for confidence in moving forward without fear or trepidation. Garnet is also known as the 'Stone of Health' and is great for purification and detoxification - making it ideal for January's New Years health resolutions!! These gold stud earrings make a gorgeous gift for a loved one - for mum, sister, girlfriend, wife or friend - for any occasion such as a birthday, a graduation, an anniversary, Christmas, or Valentines' Day gift. Ideal for those who like their style to be simple and elegant. 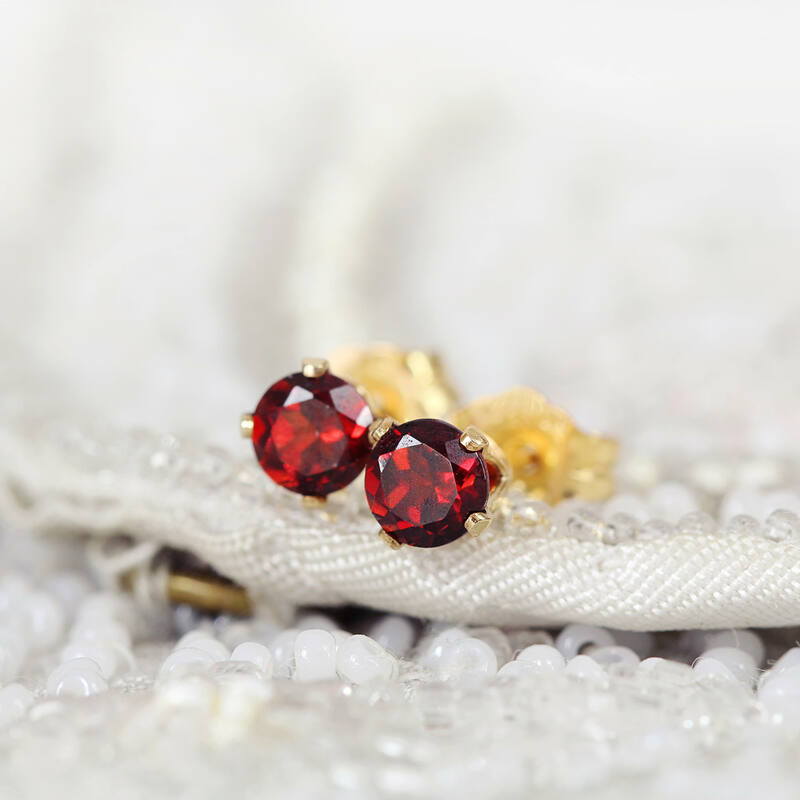 These are a beautiful earring. 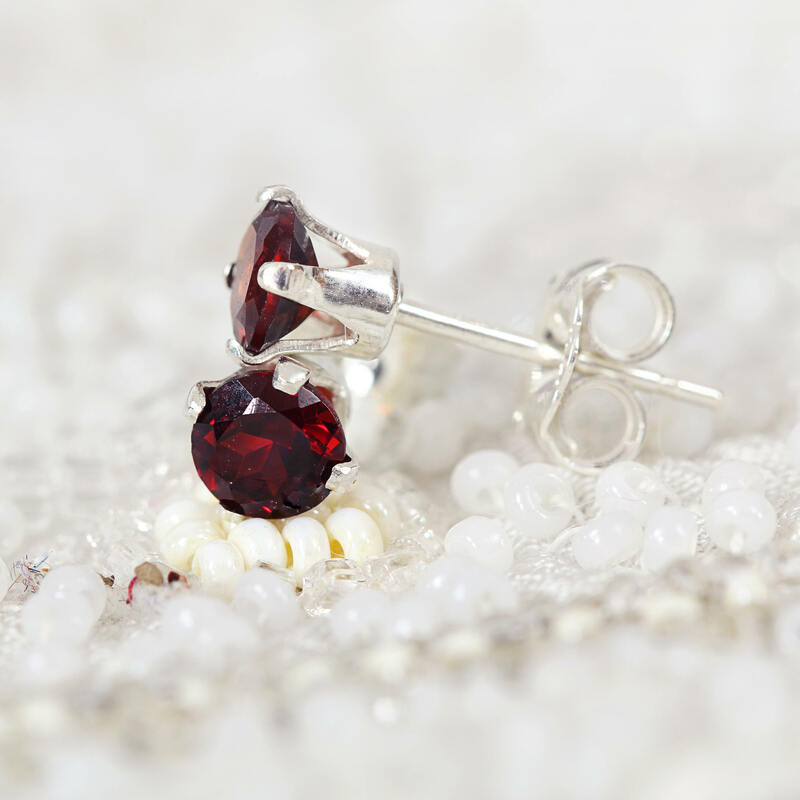 They are a small stud which I like but if you like something a little larger, these may be too small for your liking. They are perfect for my taste! My wife loved receiving these earrings for her birthday! Wonderful quality and beautiful!! 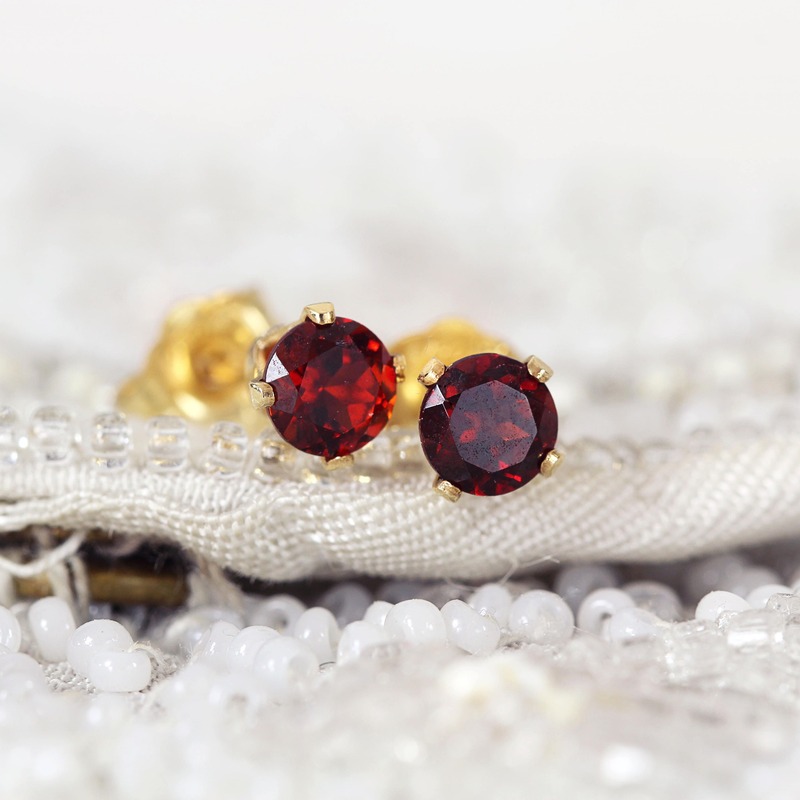 I love garnets. 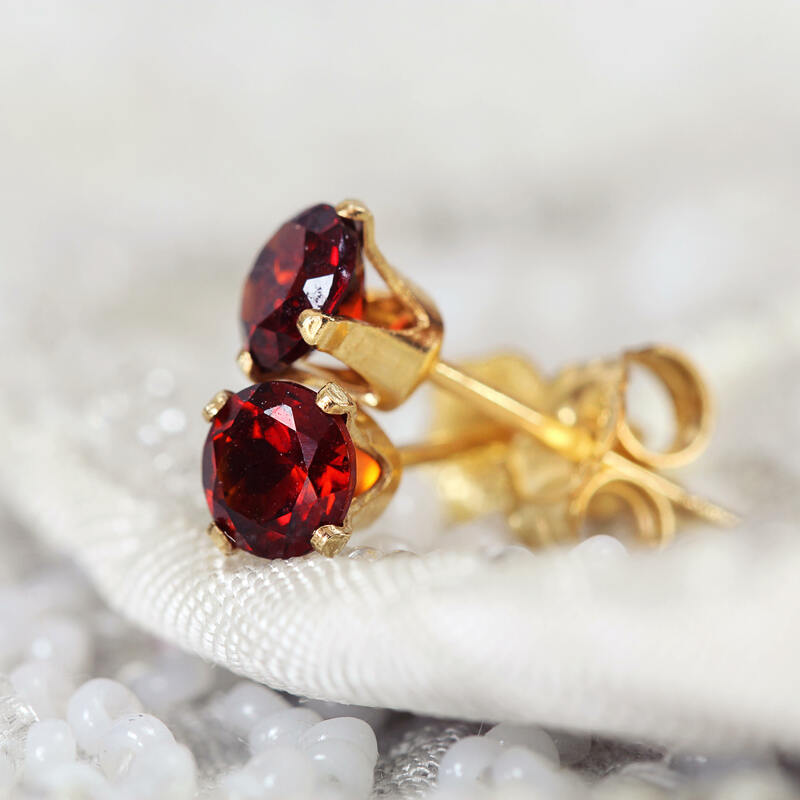 These are lovely and go well with my multiple pierced ears.